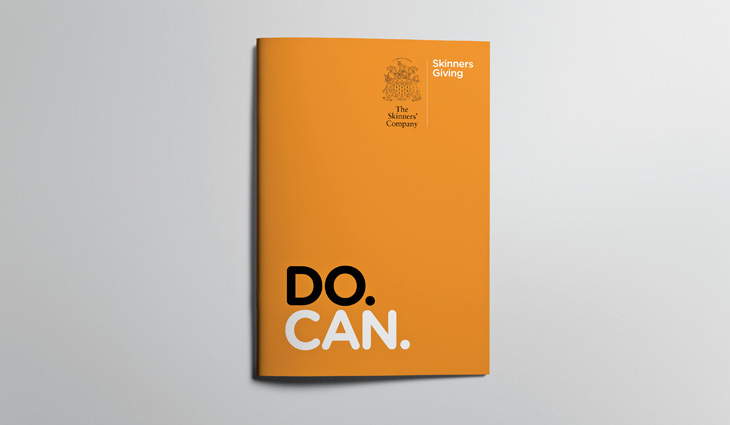 The Skinners’ Company, one of the ‘Great Twelve’ livery companies of the City of London, developed from the medieval trade guild of furriers and was incorporated by Royal Charter in 1327. 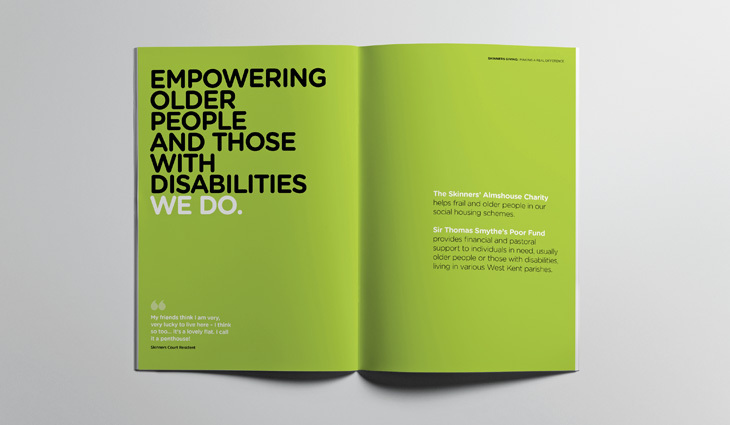 Today it is a major not-for-profit organisation involved in running schools, sheltered housing and grant programmes for individuals, educational institutions, and a wide range of small organisations throughout the UK. 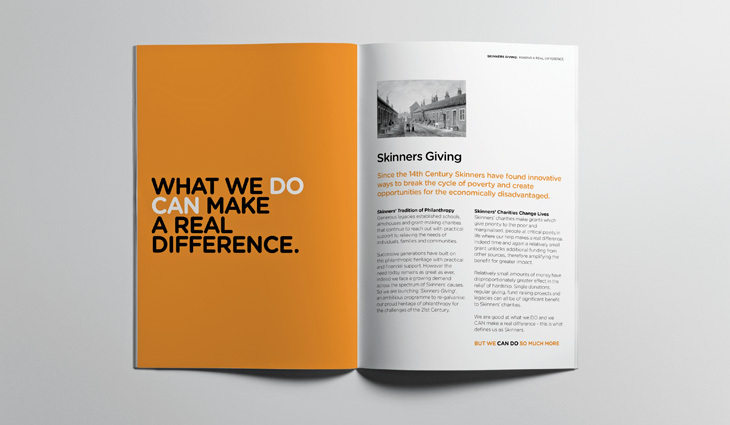 They asked us to work with them to develop a new fundraising initiative aimed at their entire membership to encourage the re-igniting of a 700 year old tradition of philanthropy for a modern generation of Skinners. 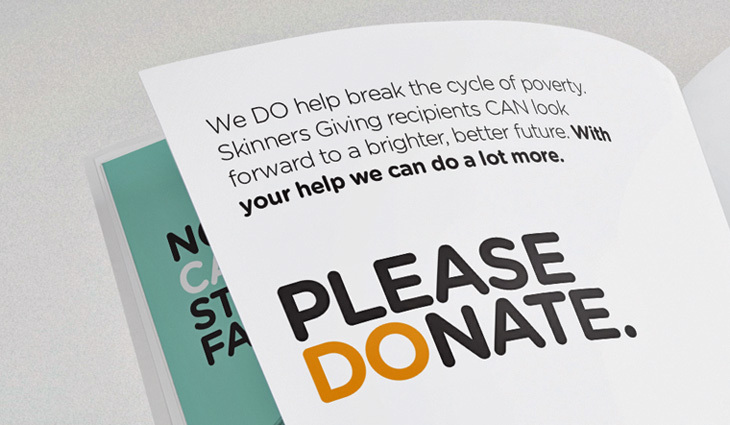 The first phase of Skinners Giving focuses on their Grant Giving Charities with the ‘Do Can’ campaign concept. 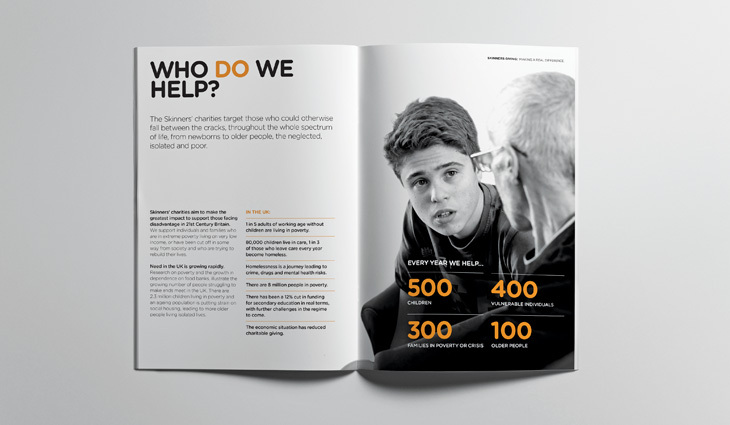 The slightly tongue-in-cheek name emphasises how every single Skinner can make a real difference to the needy and marginalised, by providing support at critical points in their lives to help break the cycle of poverty. 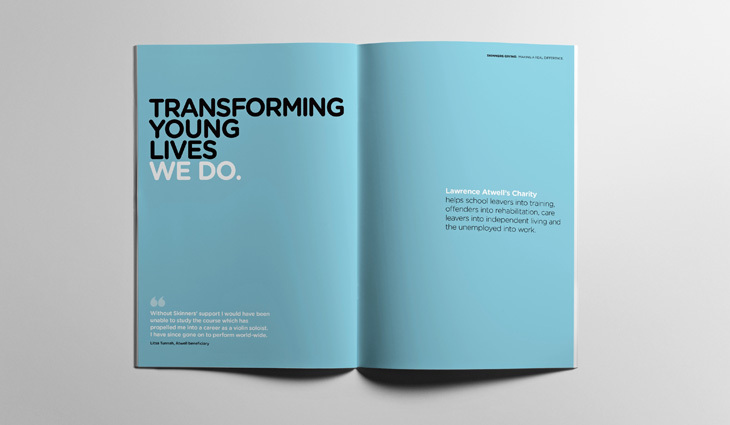 Even a small sum can bring about tangible benefits to recipients in one of the four key areas: Transforming Young Lives, Helping People in Crisis, Empowering Older People and those with Disabilities and Supporting Communities. 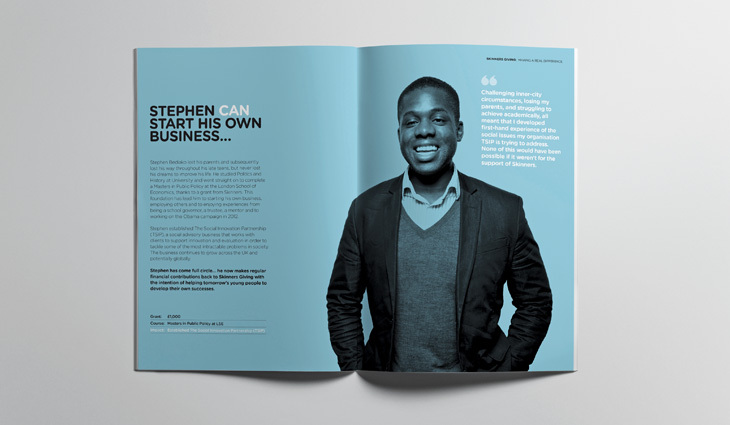 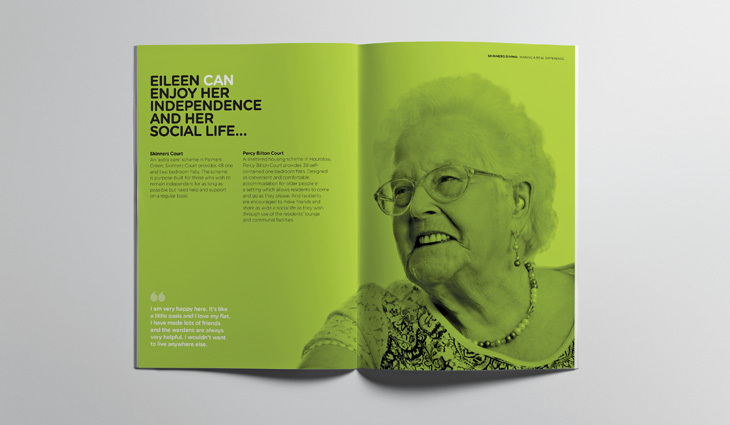 We produced a co-ordinated suite of campaign direct mail materials aimed at getting the point across that they do well at what they currently do, but together they can do more.